3.1 Share this article to save lives and bring relief to the suffering! Type 2 diabetes is not only completely preventable, but it is also curable, if you are willing to make some lifestyle adjustments that will restore your insulin sensitivity. There are thousands of people who reversed diabetes and recovered from it as a result of being on healthy unrefined diet and use of natural remedies. There are many different opinions about the ideal blood sugar level but usually it is believed that normal or healthy level before meals should be between 3.5–5.5mmol/l (millimoles per litre), and less than 8mmol/l, 2 hours after meals. Individuals with type 2 diabetes are encouraged to maintain their sugar levels between 4-7mmol/l before meals, and less than 8.5mmol/l two hours after meals. – They are often thirsty because they pass more urine as they cannot effectively reabsorb water from the blood due to damaged small blood vessels in kidneys. – They are hungry because they lose a lot of protein and because of the higher levels of insulin in the blood. – Diabetics experience fatigue (tiredness) because glucose (which is the key source of energy) can’t get into the cells. As a result cells do not have sufficient amount of key “fuel” to generate enough energy in mitochondria. – People with high blood sugar levels experience dry mouth because they are dehydrated as they lose too much water with urine. – Visual loss and blindness. – Immune system suppression resulting in increased risk for infections. – Poor blood circulation to the legs and feet and very slow wound healing. – People with diabetes also have tendencies to experience frequent urine infections as well as overgrowth of candida albicans caused again by high sugar levels in the blood. And these infection also contribute to kidney damage. – Kidney failure. In diabetics the high sugar levels in the blood damage small blood vessels in kidneys causing them to leak out toxins which accumulate in the body instead of being removed. At the same time the damaged capillaries in kidneys also allow beneficial proteins to move to the urine with which they are removed from the body. Together with proteins also some sugar gets into the urine and that is the reason why this disease in Latin is called “diabetes mellitus” which literally means “sweet urine”. – Strokes and heart attacks. According to the U.S. Department of Health and Human Services, “High blood glucose levels over time can lead to increased deposits of fatty materials on the insides of the blood vessel walls. If you have diabetes, you are at least twice as likely to have heart disease or a stroke.” It means that too much sugar in the blood, like free radicals, can damage the interior lining of larger blood vessels causing cholesterol plague to build much faster in those places leading to heart attacks and strokes. – Too much sugar in the blood also reduces the levels of the beneficial and powerful vasodilator gas – nitric oxide in our blood vessels. As a result the blood vessels are narrowed elevating blood pressure and risk of heart attack or stroke. Amino acid L-arginine, on the other hand, is converted in our body to nitric oxide and therefore it is very effective in relaxing and dilating arteries in our heart and brain thus preventing heart attacks and strokes. One of the authors expressed this idea in the following way: „By converting into nitric-oxide (vasodilator), the amino acid, L-arginine, has changed the paradigms of cardiovascular health forever!” The highest nutritional source of L-arginine are nuts, especially wall nuts, pecan nuts, Brazil nuts, and cashew nuts. There is no doubt that the key cause of type two diabetes is unhealthy lifestyle including especially unhealthy diet high in bad fats and refined foods, lack of physical activity, and stress. For example, in comparison with 1970s the prevalence of diabetes is 7 times higher in South Korea! Before and after WWII type two diabetes was almost unknown disease in that country. It was the result of the healthy lifestyle of Korean people. They ate unrefined plant foods and were physically active using bikes instead of cars. They also experienced much less stress and ate seeds and nuts instead of oils, margarines and other trans-fats. But after WWII Koreans started systematically increase consumption of refined foods, white rice, refined oils, trans-fats and sugar. They stopped exercising, gained weight, and experienced more stress. As a result, Korea experienced transformation from a country of few diabetics to a nation full of people suffering from this disease. – Today we are often brain-washed with the idea that bad genes we inherit after our ancestors are responsible for our health problems including diabetes. 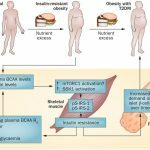 However, although it is true that you may be born with genetic tendencies to develop insulin resistance (type 2 diabetes) yet much more important cause which leads to this condition is always unhealthy diet (high in bad plant oils and animal fats, refined products, sugar, meat, dairy, etc. ), overweight, stimulants, lack of exercise, or inability to control stress. Therefore, if you want to recover from diabetes you have to address and eliminate those factors. And the best proof that they are the key cause of diabetes is the fact that whenever diabetics switch to a healthy unrefined plant-based diet and start exercising on a regular basis they completely recover from this condition. – One of the most important causes of type 2 diabetes are bad oils and fats. For instance, a study led by Prof. Jamey D. Marth, has discovered that when healthy animals were fed a high-fat diet, then the pancreatic beta cells could not sense and respond to blood glucose. – It is believed that there are three major dietary toxins which are responsible for triggering type two diabetes: Omega-6 industrial seed oils, Cereal grains (especially refined) and Fructose (especially high-fructose/glucose syrup). Fructose is so dangerous because unlike glucose, which is rapidly absorbed into the bloodstream and taken up by the cells, fructose is shunted directly to the liver where it is converted to fat. White table sugar is composed of two sugars: glucose and fructose. Glucose is an important nutrient in our bodies and is healthy, as long as it’s consumed in moderation. Fructose is a different story. Fructose is especially dangerous in the high-fructose/glucose syrup (HFCS). Unlike glucose, which is rapidly absorbed into the bloodstream and taken up by the cells, fructose is shunted directly to the liver where it is converted to fat. A 2009 study revealed that shifting 25% of dietary calories from glucose to fructose caused a 4-fold increase in abdominal fat! And abdominal fat is an independent predictor of insulin sensitivity, impaired glucose tolerance, high blood pressure and high cholesterol and triglycerides. In addition, it is believed that excess fructose consumption leads a condition called non-alcoholic fatty liver disease (NAFLD), which is directly linked to both obesity and diabetes. – Deficiency of Vitamin D contributes to insulin resistance due to its effects on insulin secretion and insulin sensitivity. – Harmful effect caused by free radicals has also been implicated in the development of type 2 diabetes and insulin resistance. – As far as physiological roots of type two diabetes are concerned it is caused by inability of insulin to move glucose from blood into cells (insulin resistance). In type two diabetes the body still produces insulin, but the cells in the body become resistant to insulin. It means that sugar (glucose) is not able to move from the blood into cells. As a result sugar remains in the blood elevating blood sugar levels. It is therefore important for diabetics to get rid of the belly fat. Diabetics who are not overweight also have this bad fat but inside their body. It covers internal organs (visceral fat). As soon as you get rid of this nasty fat (through plant unrefined diet and exercise) the insulin resistance will disappear and cells will be able to absorb more sugar thus lowering its level in the blood. Under normal circumstances when those who free from diabetes consume a meal sugar from that meal would get into their blood stream. As a result pancreas produces insulin to lower the raised sugar level in the blood. The insulin binds to a certain structure found in the cell wall called “insulin receptor” which works as a “doorbell”. As a result the cell “hears” the “doorbell sound” and open the special “door” for the sugar called “glucose transporter”. And sugar can move from the blood into the cell where it will be used as a source of energy. In this way the whole body is happy because sugar level in the blood is normal. However, in case of diabetics the insulin is unable to do its job. After diabetics have a meal and sugar level goes up, the same insulin also tries to “rings the doorbell” but this time nothing happens. The cell can’t “hear anything” because the “doorbell” is covered by a nasty protein called “resistine” made by a MiRNA-145 gene found in fat cells (located in abdomen area)! As a result, since brain figures out that sugar level is still high it again sends signals to pancreas prompting it to produce even more insulin in order to lower blood glucose. This time pancreas makes so much insulin that it finally manages to generate a signal so loud that cell can hear it at last and opens the door for the sugar to get in and sugar level goes down. But, since the cause of the problem was not solved the resistance of the cells continues to increase over time. As long as the pancreas is able to produce enough insulin to overcome this resistance, blood glucose levels remain normal. Unfortunately, since pancreas is constantly forced to make a lot of insulin (due to unhealthy diet) sooner or later it gets exhausted and becomes unable to produce large enough amounts of this hormone. As a result the body can no longer handle the problem and blood glucose levels are constantly elevated causing a lot of damage in the body. Consequently those who experience the problem start to notice some negative symptoms. They finally go to their doctor and are diagnosed with type two diabetes. But, let us pose for a while and try to figure out, how it is possible that the gene in fat cells found in belly area of diabetics start making a nasty protein which goes to other cells in the body and forces them to stop absorbing sugar from the blood? Well, by now nobody seems to know the answer to this question. But I believe we can attempt to find the reason if we take into consideration three very important things. First of all, the nature of genes can be changed, they can mutate as a result of being exposed to free radicals, toxins, viruses, etc. And as a result they may start making different strange or dangerous proteins. The best example of such phenomenon is an abnormal proteins produced by genes in brain cells which causes Alzheimer’s disease and brain damage. Second fact we need to remember is that genes in our body react to different physiological and even psychological needs. It is also interesting that this resistine is produced in the fat cells especially around abdomen area. Why in fat cells? Because those who suffer from type 2 diabetes are overweight or obese especially in the abdomen area. So, taking into consideration those three facts we may draw a conclusion that may be the belly fat cells being overloaded with too much fat finally get “mad” at the body and “declare war on the body”. The “irritated” belly fat cells say, „Okay guys, our body eats a lot of fatty foods and sugar which is converted to fat. It does not even exercise, and as a result we are constantly getting fatter and fatter. Therefore, in order to change it let us make something that will prevent other cells in the body to use sugar as a source of energy. In this way they will use fat instead and in this way we will start losing fat! So the fat cells say, „Wow, that is an excellent idea!” And driven by the need of losing fat their genes start making resistin which goes to other cells especially the muscle cells and covers the “doorbell” forcing the body to use much less sugar as a source of energy. 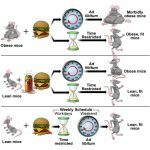 This interesting hypothesis may also help us to explain why whenever people with type 2 diabetes start exercising and avoiding bad fat and sugar in their diet slowly recover from type two diabetes. It is so because their belly fat cells are “happy” now as they are not so overloaded with fat and there is no need to make resistin any more! There are some people who are on very high in fat Kwasniewski diet (popular in Poland) or Atkins diet and somehow they manage to lose weight or even recover from type two diabetes. They lose weight and recover from diabetes by replacing sugar as a source of energy with fat, because their diet is very high in it! It means that they recover from diabetes and obesity because their cells are deprived of sugar and can’t use it as a primary source of energy any more. Therefore, instead of using sugar (glucose) the cells are forced to use fat. Those high fat diets are dangerous and causes many side effects (including high risk of cancer and heart attack) but it is true that they often lose weight and may even recover from diabetes simply because now cells in their body start using fat instead of sugar as a primary source of energy. As a result the fat cells in the abdomen area (which cause diabetes by making resistin) are very happy because they are losing fat so they stop making resistin, as there is now no physiological need to make it! Since prescribed medication leads to very bad side affects you need to improve your lifestyle and use natural remedies as they are harmless. However, I do not recommend replacing medication with herbal remedies but using them both simultaneously for certain time and then gradual reduction of medication (only when you see that sugar level is normal without medication). Also remember that listed below natural remedies and principles are very effective in lowering high blood sugar levels. Therefore, if at the same time you are taking medication you must regularly check your blood sugar level and if you see that it goes down, gradually reduce medication as otherwise sugar level may go too low and you will experience symptoms of hypoglycaemia. – Every day consume Barley fibre (high in Beta glucan which is 6 times more effective than oats in lowering blood sugar level): 1 tablespoon with meals 2 x a day. Researchers at the Creighton Diabetes Center in Nebraska discovered that when participants ate a cooked whole barley or unrefined (high in fibre) barley flakes for breakfast, their blood sugar was 600% lower than when they ate oatmeal — which is proved to be one of the best complex carbohydrates and type of fibre to consume for diabetics! Barley is so effective in regulating blood glucose because it is very high in a particular type of fibre called beta-glucan which is most effective in slowing the conversion of complex carbohydrates to glucose. – Include cooked and raw onion and garlic in your diet. A study conducted by pharmacologists demonstrated that diphenylamine found in onion was more effective in lowering blood sugar than popular drug Tolbutamid. – Eat 1 or 2 tablespoons of ground flax (lean) seed with breakfast. In June 2008 British Journal of Nutrition published an article which says that, “Flax seeds stabilized blood sugar levels, flaxseed oil had no effect on fasting blood glucose, while fish oil increased fasting blood glucose levels”. – Every day have at least two tablespoons of soaked overnight in water (or plant milk) chia seed with meal as it regulates blood glucose, increases energy, helps to reduce appetite and lose weight, and increases energy. Chia seed is also one of the highest plant sources of the very beneficial and anti-inflammatory omega 3 fatty acids. – Avoid meat products. If you only reduce consumption of animal foods, bad fats, sugar, and refined foods you may not see positive results quickly and get discouraged as a result. Go to RECIPES > in order to learn how to substitute animal foods. There are numerous studies which clearly demonstrated that the unrefined strictly plant-based diet gives the best results in not only preventing but also treating diabetes as well as obesity and metabolic syndrome (combination of high blood pressure, high cholesterol and triglycerides, and excess weight around waist). For instance, a study by Prof. Serena Tonstad and her team involving over 50 thousand Seventh-day Adventists was to investigate the effectiveness of vegan, vegetarian and non-vegetarian diets on body weight and prevalence of type 2 diabetes. The results, demonstrated that vegan diet was the most effective nutritional approach. It showed the 5-unit BMI difference between vegans and non-vegetarians indicating a great potential of veganism to fight obesity and type 2 diabetes. That is why a diet which is free from animal fats, bad refined plant fats, meat and dairy gives such a quick and excellent results in reversing type two diabetes. – Avoid all dairy products and any food containing cow’s milk because lactose (type of sugar) in milk increases insulin resistance. Don’t trust new studies which claim cow’s milk and eggs do not contribute to diabetes (or that they not increase bad cholesterol) as many of those studies are sponsored by dairy and egg industries. The independent studies demonstrate that eggs and dairy increase risk of type two and type one diabetes. Also a 2009 Harvard study published in the American Journal of Clinical Nutrition links fish and omega-3 oil consumption to increased risk of type 2 diabetes. Following 200,000 adult participants for 16 years, researchers found that the more fish or omega-3 fatty acids (found in fish) participants consumed, the higher was their risk of developing type 2 diabetes. – Eliminate the following from your diet: Animal fats, margarines (high in dangerous trans-fats), and bad oils (sunflower oil, soya oil, corn oil, vegetable oil, etc.) as they are high in pro-inflammatory polyunsaturated fatty acid that contribute to diabetes. Instead use only raw organic coconut oil. For salad dressing you may use cold pressed flax oil (but not for cooking). The polyunsaturated fats are especially harmful because they have two or more double bounds, while monounsaturated fats (olive oil) have one double bond and saturated fats (coconut oil) have no double bonds. The more double bonds in a fatty acid, the more reactive it is. It means that the polyunsaturated fats tend to react with oxygen, leading to overproduction of free oxygen radicals which cause a lot of damage in the body and contribute to diabetes. – Use only raw organic coconut oil. According to Dr Oz, „Iceland people have consumed large amounts of coconut oil for many generations without ever encountering diabetes, but when they abandoned it for other foods and oils, the results were disastrous. The connection between coconut oil and weight loss is interesting too. Farmers in America discovered this early last century when they tried to fatten their cattle by feeding them coconut oil. Instead of gaining weight, their cattle lost weight!” Not long ago a new form of coconut oil appeared in the market. The difference is that this oil is not solid but liquid in room temperature. But when I checked how this oil is made I realised that it is not as healthy as the solid one. In coconut oil it is the lauric acid which makes coconut to be solid because lauric acid requires more than 24 degrees Celsius in order to melt down. That is why in hot countries coconut oil is always liquid. So in order to make coconut oil solid, they remove almost all lauric acid and therefore, the oil stays liquid even if the temperature is below 24 degrees. But the problem is that lauric acid is regarded as the most valuable medium chain fatty acid in coconut oil. Coconut oil is about 50% lauric acid, making it nature’s richest source of lauric acid. Very effective even in killing virus and bacteria. – Do not consume foods high in trans-fats as they greatly contribute to diabetes because they lead to systemic inflammation. Trans-fats are formed when oils goes through the process called hydrogenation (hardening), which makes the oil solid. This type of fat is high in many margarines and is one of the main ingredients in many processed and very unhealthy foods such as biscuits, cakes, doughnuts, buns, popcorn, French fries, chicken wings, pizza, desserts, etc. – Avoid fruit juices. Only grapefruit juice is beneficial in case of diabetes but not if you are on medication as it may increase or decrease absorption of medication. – Unfortunately, for many years people with diabetes were suggested to avoid fruits because of their high sugar content. But according to a title of one of the studies dealing with the problem it is a wrong idea as it says, „Fruit Restriction Advice for Type 2 Diabetics Proven WRONG”. Whole fruits do not contribute to diabetes nor even elevated blood glucose levels simply because sugar in whole or dried fruit is bound to fibre. And since it is in the form of complex carbohydrates it takes a long time for the gastrointestinal tract to break it down to glucose. As a result the sugar gets into the blood stream very slowly and the blood never gets too high. For this reason insulin doesn’t have to be produced and released in excessive amounts thus preventing diabetes. – Exercise 1 to 2 times for 30 to 60 min every day. Fast walk outside is the best. One of the key causes of type 2 diabetes is sedentary lifestyle and lack of exercise. Physical activity is also the best way to prevent and treat diabetes. And it is quite easy to explain why physical activity helps diabetics, as well as healthy people, to maintain proper sugar level. When we walk or exercise, what do our muscle cells need? They need energy! Where do they get the energy from? From sugar called glucose, which is in our blood. So, when we exercise the cells in our body are eager to open the door for the sugar and absorb it. Because of that the elevated after meals blood sugar level easily goes down and is normal. Apart from that, since exercise makes body cells to absorb more sugar from the blood the pancreas is very happy as it doesn’t have to overwork making so much insulin necessary to lower blood glucose. But, when we don’t move, the sugar comes to the special “door” for the sugar found in every cell of your body and “knocks on the door”. And, the cell asks: “Yes! Who is it?” – “It’s me, sugar! Let me in, please!” – answers the sugar. But, how would the cell in your body react, when you don’t exercise but instead, you seat all the time in front of the TV or computer? The cell in your body says: “I am sorry sugar! But our body doesn’t move too much and we don’t need any additional energy supply now. Try another time please!” And because of that the poor sugar has to stay in the blood resulting in high blood sugar levels which eventually may lead to type two diabetes. According to the title of the study conducted in 2007 by Nikolaos Adoglou, MD, and Despina Perrea, Phd, “Exercise Reduces Resistin and Inflammatory Cytokines in Patients with Type 2 Diabetes!” It means that regular physical activity is one of the most effective ways to reverse diabetes as it deals with the cause of the problem which is resistin. Another study conducted by Brunilda Nazario, MD in 2012 demonstrated that fast walking (or energetic exercise) for at least 30 minutes every day is the best treatment against type 2 diabetes. This great benefit can be explained by the fact that regular energetic exercise is the most effective way of encouraging muscle cells to dramatically increase their sensitivity to insulin. In addition fast walking releases many beneficial anti-inflammatory chemicals. – My favourite formula, I most frequently recommand for diabetics, is GlucoBate (HealthAid) because it contains the most important ingredients such as Alpha lipoic acid, karela, chromium, or fenugreek which demonstrated incredible effectiveness in regulating blood sugar and reversing insulin resistance. – Nettle capsules or tea: 3 times a day between meals. 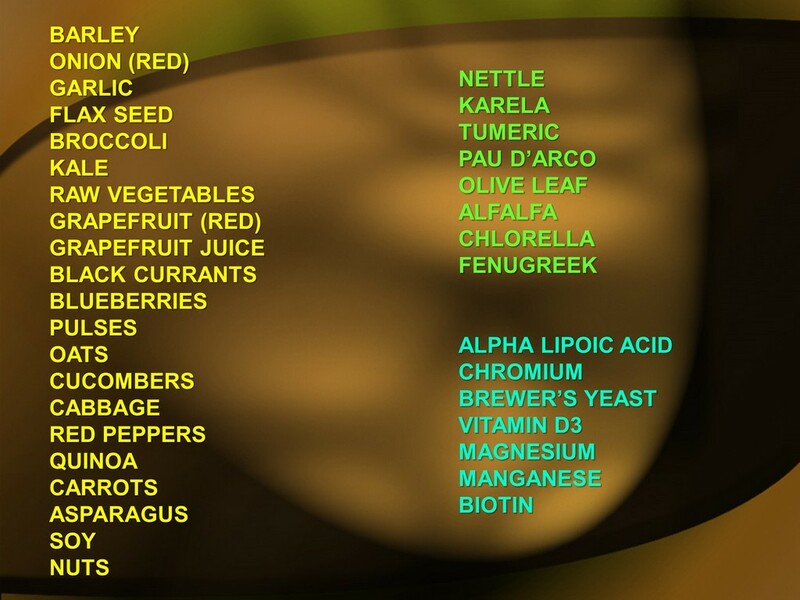 Plus nettle capsules or tablets: after every meal. According to the University of Maryland Medical Center, „Studies indicate that nettle can lower blood sugar and blood pressure”. – Do not use omega 3 fish oil as unlike plant omega 3 sources (flax seed, chia seed) it tends to elevate blood glucose. Ground flax seed – the highest plant source of ALA type of omega 3 has shown to lower blood glucose. But If you want the same omega 3 fatty acids (EPA and DHA) which are found in fish oil there are some very good plant sources available on the market. – Examples of other excellent herbs and foods lowering blood sugar levels: Neem, chlorella, spirulina, alfalfa, fenugreek, olive leaf, garlic, onion, oats, raw vegetables, grapefruit, beans, lentils and other pulses. The more of them you use the better results you will see. – In another trial with diabetic patients published in the European Journal of Clinical Nutrition in 1990, those who consumed powdered fenugreek had significantly lower blood levels of both glucose and cholesterol compared to others who took a placebo. – Also olive leaf extract increased insulin production by almost 30% and lowered insulin resistance by an average of 15%! – Vitamin D3: 20,000 IU with breakfast. Vitamin D must be used with magnesium as it leads to its deficiency! Deficiency of Vitamin D contributes to insulin resistance due to its effects on insulin secretion and insulin sensitivity. – Magnesium citrate high in elemental magnesium such as MagCitra (HealthAid): 2 x 200-400 mg 60 min before breakfast and before last meal. But be careful when you chose probiotics. Not long ego many popular probiotic formulas were tested by scientists and they found out 70% didn’t contain live bacteria!!! – Bio chromium (Pharma Nord). Bioavailability of this chromium is 10 times higher than regular chromium formulas: 2 x a day 100mcg with meals. Chromium is necessary for insulin production and regulating blood sugar levels. It also helps to reduce sugar cravings. Chromium and biotin supplementation improves glycemic control in patients with type 2 diabetes. – Vitamin B6: 50mg a day with breakfast. – Zinc – 15-30mg a day after meal. – Raw fresh vegetable juices 3 x a day 2 to 3 glasses before meals or instead. About 5-7 cups or raw vegetable salad a day. – Fresh raw sprouts every day (especially alfalfa as it lowers sugar in the blood). – Chlorella or Spirulina – 10 tablets (500mg) 30 min before breakfast and 10 before lunch with water or vegetable. Start taking 3 tablets of chlorella 2 x a day and increase every day by 1 until you rich the above mentioned dose. – Take care of your liver also by avoiding stimulants, meat, fried foods, bad fats, medication, toxins, sugar, etc. and using milk thistle and NAC to detoxify and regenerate this very important organ! Milk Thistle Extract, N-Acetyl Cysteine and Methionine, are the three factors known to be essential for the production of glutathione, which is a potent free radical scavenger that also plays a critical role in maintaining the body’s and liver’s normal elimination of toxins. You also need to detoxify liver by eating at least 7 cups of raw vegetable salad a day! Yes, that is the amount of raw vegetables you should consume every day if you want to be healthy and provide proper amounts of antioxidants. There is another problem which may be the result of using artificial sweeteners. Whenever we consume them, our brain still thinks that we’ve just eaten something with sugar, even though artificial sweeteners contain no sugar. So, assuming that the blood sugar level is going to be higher, the brain still sends signals to the pancreas to produce insulin. Pancreas, therefore, quickly release some insulin to lower the sugar level, in spite of the fact that it wasn’t needed as the food didn’t contain sugar. The problem therefore is that when you keep on eating foods with artificial sweeteners the pancreas may eventually stop releasing insulin as soon as it ‘realizes’ that the sugar level is always normal. But when after some time you again start consuming foods which contain ‘true’ sugar the pancreas may refuse to produce insulin, although now it is needed. If this is true then using isolated sweeteners that chemically can’t be classified as sugars may lead to a kind of chaos and confusion in our body and disturb the proper communication existing between brain and pancreas. – Use only Stevia (lowers blood glucose) and Xylitol (does not elevate blood sugar) instead of artificial sweeteners. – According to the Life Science, also laughter improves glucose levels and gene expression in type 2 diabetic patients. – Too little sleep increases the risk of serious health problems including insulin resistance, obesity, and type II diabetes. – Ideally all the above should be used at the same time if possible. The more you include the faster you will recover. – Please remember that using this treatment is very effective in lowering high blood sugar levels so if at the same time you are taking medication you must regularly check your blood sugar level and if you see that it goes down slowly and gradually reduce medication as otherwise sugar level may go too low and you will experience symptoms of hypoglycaemia. – Finally, let me give you another example of recovery that may encourage you to give this effective recovery plan a try. I remember certain very obese gentleman who together with his wife participated in one of my health seminars. Everything he heard during those five days made sense to him and opened his eyes to the true cause of his obesity and other health problems such as coronary heart disease, chronic fatigue, high blood pressure, depression, or diabetes. He instantly decided to switch to a well-balanced, healthy and unrefined plant-based diet and to practice all other principles of the optimal health recovery plan. When 6 months later he came to listen to another series of my lectures he was so slim and looked so different that i couldn’t recognize him. He said that on this normal-calorie plant-based diet, without fasting, counting calories, suffering from hunger, or skipping meals he had lost 80 pounds (40 kilos) in 6 months! Every day he just ate 3 regular tasty and high in nutrients and fibre meals always satisfying his hunger. He also said that as a result of practicing this new diet and lifestyle he recovered from all other serious health problems such as chronic fatigue, coronary heart disease, diabetes, high blood pressure, depression, and he also greatly improved his emotional and physical well-being. Apart from enjoying normal body weight he was brimming with positive energy and health. Please read this extremaly important part (LINK) very carefully as it reveals the secret of finding true source of strenght necessary to overcome bad habits and will help you to gain a powerful motivation to not only practice but also enjoy the new and very healthy way of life. Share this article to save lives and bring relief to the suffering! – Egg Consumption and Risk of Type 2 Diabetes in Men and Women. Luc Djoussé, J. Michael Gaziano, Julie E. Buring, I-Min Lee. Diabetes Care. 2009 February; 32(2): 295–300. – Christensen AS, Viggers L, Hasselström K, Gregersen S. Effect of fruit restriction on glycemic control in patients with type 2 diabetes. Nutr J. 2013. Ercan N, Nuttall FQ, Gannon MC, Plasma glucose and insulin responses to bananas in persons with noninsulin-dependent diabetes mellitus. J Am Coll Nutr. 1993 Dec;12(6):703-9. – Carly Harrill, 5 Artificial Sweeteners With Bad Side Effects, May 16, 2014. – Sandhu et al. Circulating concentrations of insulin-like growth factor-1 and development of glucose intolerance. Lancet 2002;359:1740-5. – Ahmed I, Lakhani et al. 2001. Diabetes Res Clin Pract. Mar;51(3):155-61. Hypotriglyceridemic and hypocholesterolemic effects of anti-diabetic M. charantia (karela) fruit extract in streptozotocin-induced diabetic rats. – L. Shane-Wortner, PharmD; 2005. DiabetesHealth: Fenugreek. – C. Broca et al. 1999. American Journal of Physiolo-gy; 4-Hy-droxyisoleucine: Experimental Evidence of Its Insuninotropic and Antidiabetic Properties. – Zhonghua Yi Xue Za Zhi. 2007 Oct 16;87(38):2706-9. PMID: 18167250. “Alpha lipoic acid has a curative effect on peripheral neuropathy in type 2 diabetes”. – Life Sci. 2009 Jul 31;85(5-6):185-7. Epub 2009 May 18. PMID: 19450597. laughter improves post-prandial glucose levels and gene expression in type 2 diabetic patients. – Fish is Not Health Food, Dr. John McDougall, 02/2003. – De Bock M, Derraik JG, Brennan CM, Biggs JB. Olive leaf (Olea europaea L.) polyphenols improve insulin sensitivity in middle-aged overweight men. PLoS One. 2013;8(3):e57622. – „Chlorella modulates insulin signalling pathway and prevents high-fat diet-induced insulin resistance in mice.” 27 November 2013 Juliana Falcato Vecina, Alexandre Gabarra Oliveira, Tiago Gomes. Department of Internal Medicine, State University of Campinas, SP 13081-970, Brazil.